Kevin Durant is a good basketball player. So good, in fact, that he doesn't even need shoes to score. 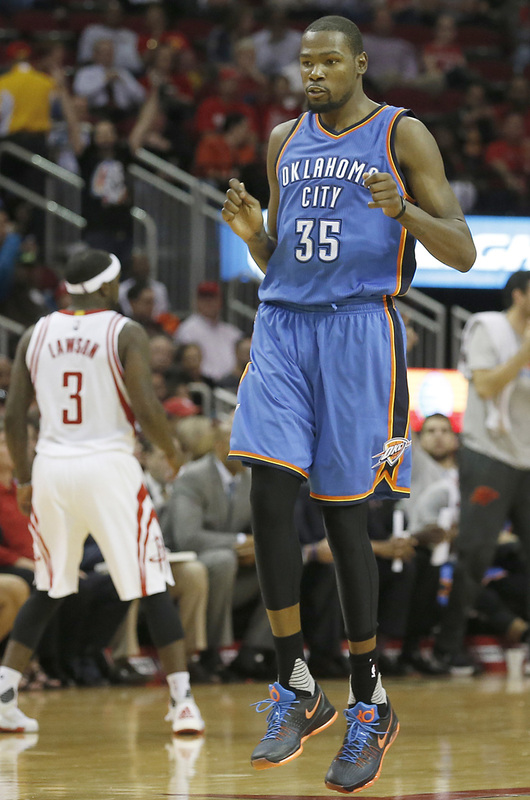 During the 3rd quarter of tonight's game against the Houston Rockets, Durant lost his Nike KD 8 cutting toward the basket. Despite missing a shoe, he still found the hoop on a floater for 2 of his 29 points. The black-based KD 8, with OKC-inspired photo blue and orange accents, is currently unreleased.